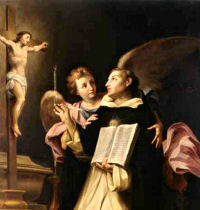 2014 January | whydocatholicsdothat.com Blog– Pray. God is waiting. After he died his lifelong companion and confessor testified, “I have always known him to be as innocent as a five-year-old child. Never did a carnal temptation soil his soul, never did he consent to a mortal sin.” He cherished a most tender devotion to St. Agnes, constantly carrying relics of this virgin martyr on his person. 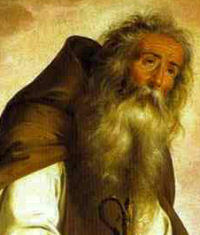 He died in 1274, at the age of fifty, in the abbey of Fossa Nuova. 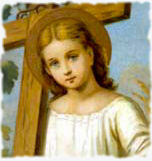 He is the patron saint of schools and of sacred theology. Today the Church celebrates the Solemnity of the Baptism of Our Lord. This brings to an end the season of Christmas. The Church recalls Our Lord’s second manifestation or epiphany which occurred on the occasion of His baptism in the Jordan. Jesus descended into the River to sanctify its waters and to give them the power to beget sons of God. The event takes on the importance of a second creation in which the entire Trinity intervenes. In the Eastern Church this feast is called Theophany because at the baptism of Christ in the River Jordan God appeared in three persons. 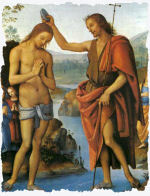 The baptism of John was a sort of sacramental preparatory for the Baptism of Christ. It moved men to sentiments of repentance and induced them to confess their sins. Christ did not need the baptism of John. Although He appeared in the “substance of our flesh” and was recognized “outwardly like unto ourselves”, He was absolutely sinless and impeccable. He conferred upon the water the power of the true Baptism which would remove all the sins of the world: “Behold the Lamb of God, behold Him Who takes away the sin of the world”. Many of the incidents which accompanied Christ’s baptism are symbolical of what happened at our Baptism. 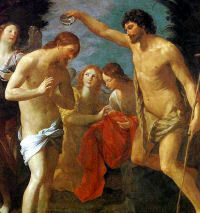 At Christ’s baptism the Holy Spirit descended upon Him; at our Baptism the Trinity took its abode in our soul. At His baptism Christ was proclaimed the “Beloved Son” of the Father; at our Baptism we become the adopted sons of God. At Christ’s baptism the heavens were opened; at our Baptism heaven was opened to us. At His baptism Jesus prayed; after our Baptism we must pray to avoid actual sin. 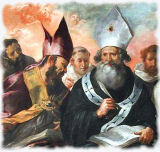 In celebrating the feasts of St. Basil of Caesarea and St. Gregory Nazianzen on the same day, the Church extols a virtue which she has always esteemed, friendship. The friendship between Basil and Gregory was admirable. Born in Cappadocia around 330, they studied together in Athens and then returned to their homeland where they led a monastic life for several years. Their temperaments were very different. While Basil had the qualities of a leader and a gift for organization that made him a legislator for monks in the East, Gregory was a contemplative and a poet.